The Level 1 Award in Health & Safety in the Workplace centres on the maintenance of health and safety, and the employees role of reducing risks within the working environment. 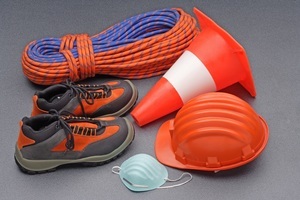 This half day course provides a good introduction to the benefits of Health & Safety for all. The Level 2 Award in Health & Safety is an accredited qualification which by its conclusion will enable candidates to work safely and deal with any hazards that may appear within the workplace. It covers the introductory topics of Level 1, and then builds further through the use of cost effective and practical control methods. The Online Level 1 Health and Safety course provides a platform to successfully understand the risks, procedures and management of health and safety within the workplace. 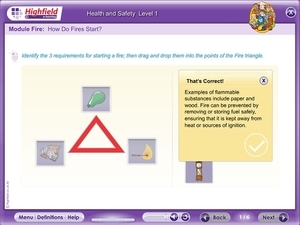 The interactive format can help candidates easily learn the subject area and improve overall safety within the workplace. Candidates by its conclusion receive an HABC endorsed certificate which is valid for three years.